Chesterfield-based Hardcase International Limited has celebrated its most successful year to date just over a year on from a Management Buyout by former Sales Manager - now Managing Director - Dave Eyre. In September 2017 UK Steel Enterprise (UKSE) helped facilitate the purchase of the business, one of the world’s leading manufacturers of rigid plastic drums and percussion cases, with a £75,000 investment. Having taken on a further two members of staff to make up the now 17 strong team and with an 8.9% increase in turnover compared to the previous financial year, the manufacturing firm’s client base has continued to grow on both a national and international scale with 2018 proving to be the most successful year on record. Dave commented: “I’m delighted to have built upon the accomplishments of Hardcase over the last year. When working as Sales Manager I used to be able to depict the seasonal trends in sales, but now it’s just busy all year round! “From our home town of Chesterfield, we not only supply a comprehensive network of UK retail partners but also distribute our products into the global market place as far afield as Asia, Australasia, Russia, Europe and North America through a chain of international distribution partners - work really is coming in from all corners of the world! 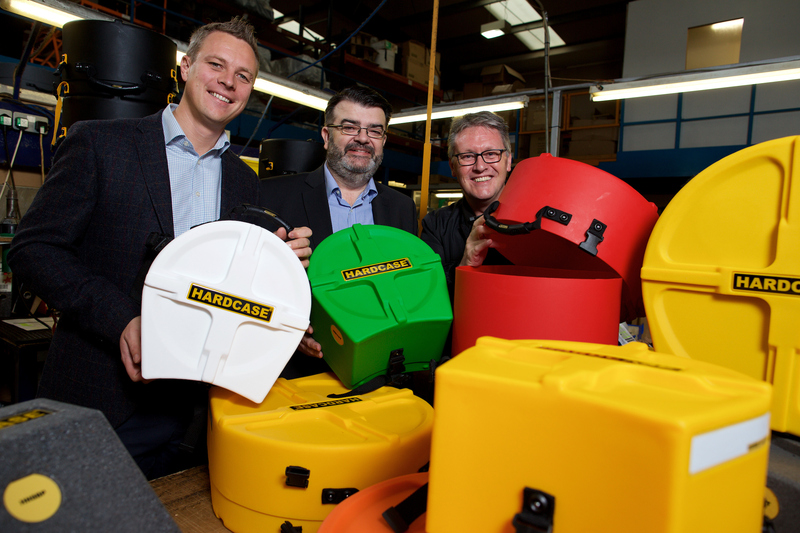 Established in 1992, Hardcase International Limited was one of the first companies globally to introduce rotational moulded plastic drum cases into the music industry. Located on the Chesterfield Industrial Estate, Sheepbridge, increased demand for Hardcase products and subsequent growth of the company has meant that a move to larger premises that can accommodate the increasing business from both a manufacturing and distribution perspective is in the pipeline for the coming years. “I’m pleased to hear that Dave has had such a positive first year as Managing Director and have thoroughly enjoyed supporting him throughout the process. UK Steel Enterprise is a subsidiary of Tata Steel. UK Steel Enterprise provides equity and loan finance to growing companies. Established businesses in need of growth finance can contact the UK Steel Enterprise team on 0800 915 1188.